Last week's menu got re-scheduled to this week, now with photos! You might think you know a vegetable.... and then you roast it and meet a brand new friend who is sweet, complex, and fun to be around. 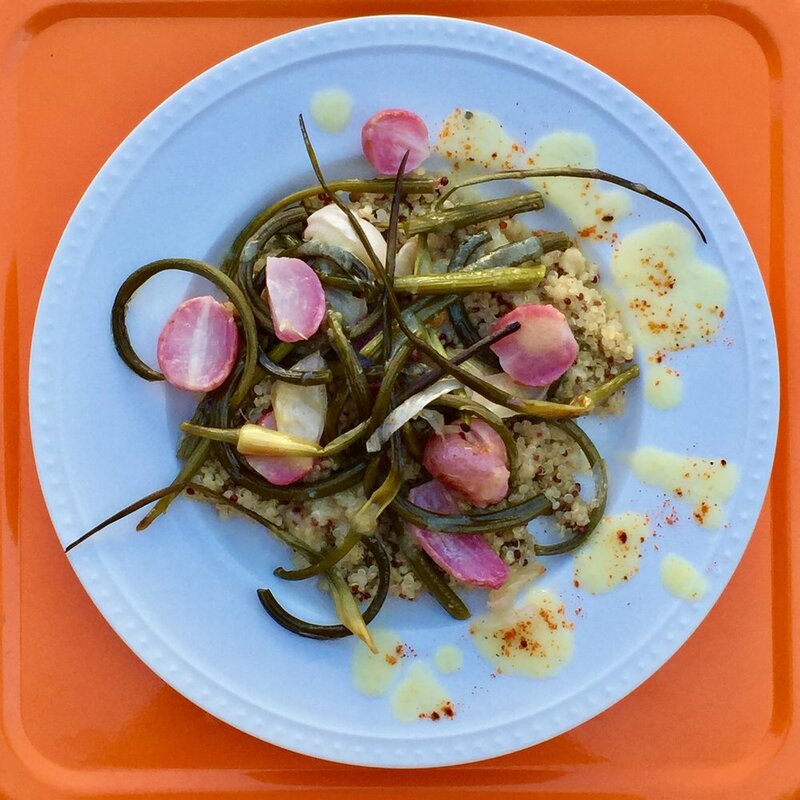 Prepare yourself to fall in love with these roasted seasonal veggies (including new potatoes, radishes, young onions, and garlic scapes) whose friendship you'll savor atop a bed of protein-rich quinoa, and finished off with a generous drizzle of maple-mustard dressing. Dig into a comforting bowl of richly spiced lentils that have been simmered with spring onions, tangy rhubarb (yes, rhubarb), and rainbow swiss chard. Brown rice are a nutty backdrop and cucumbers provide a cooling balance to this dish which can be enjoyed hot or cold, any time of day!